John Reilly was born in 1812 at County Cavan, Ireland, son of David Reilly and Sarah. In 1838 he married Jane Jackson at Dublin. They arrived at Sydney in 1838. There were four sons of the marriage born between 1842 and 1862. He died at Lang Street Burwood on 25 December 1902, aged 90 years. Jane Reilly died on 23 June 1898. John Reilly moved to Glebe about 1842, four years after arriving in Sydney having worked as a warehouseman. Later described as a storekeeper, Reilly also worked as Glebe pound keeper 1868-70, on the corner of Mitchell and Broughton streets and in 1867 as Inspector of Nuisances for Glebe Council By 1877 Reilly gave his occupation as capitalist of Glebe Street, Glebe. 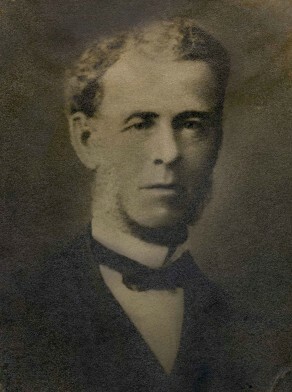 John Reilly served two terms on Glebe Council: 1859-60 and 1870-75. In 1860 John Reilly told a meeting at the Builders Arms Hotel in Glebe he was a great supporter of free selection before survey, and therefore had reservations about the man who represented Glebe, T W.Smart who voted against free selection. It evoked a response from the gathering; ‘We’ve had enough of him, kick him out’. The minutes of Glebe Council reveal aldermen engaging in endless debate over street formation, kerbing and guttering, garbade disposal, water supply and sewerage. A decade after Reilly left Glebe Council, a newspaper observed: ‘Business of Glebe Council is generally conducted with a sort of dull gentility, and such a punctilious regard, not only to the spirit but also to the letter of the law’.